Think that insurance is all about small print and lengthy policy documents? Here are some facts and vital statistics about insurance. According to the AA, motor insurance premiums have reached an all-time high, and will continue to rise during 2009. The average annual comprehensive quote has risen by almost 3% in the last three months. For younger drivers, the news is even more depressing. Quotations based on third party, fire and theft insurance (traditionally popular with younger drivers because the insurance premiums are cheaper) have risen over the same period by 3.4%. Keep premium costs down by purchasing your insurance through a ‘cashback’ website. These sites carry a list of retailers and insurance companies, and will pay you if you take out a policy after ‘clicking through’ from their site. For example topcashback is offering its members £85 cashback if they purchase home contents insurance via their website. Many insurers are now using the Body Mass Index (BMI) of their clients to decide how much they should pay for cover. Some companies such as Prudential are also offering clients lower premiums if they take out a gym membership and attend regularly. So why not take up a health challenge and lower your premiums? 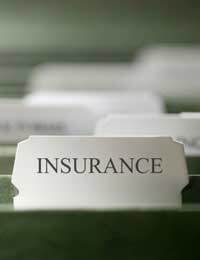 The Association of British Insurers (ABI) believes that increasing numbers of health insurance policyholders are making dishonest statements on their insurance application forms to save money. People are omitting previously existing health conditions or even whether they smoke or drink. The ABI is quite clear that ‘white lies’ is fraud in the eyes of the insurer, and could make a claim invalid if discovered. They also point out that the cost of insurance fraud means increased premiums for other policyholders. Recent violence and political unrest in countries such as Egypt and Israel has left many travelers uncertain or unwilling to travel to potential danger zones. However, whether policyholders will be able to get a refund could depend on the advice given by the Foreign Office. The rule is simple. If the Foreign Office advises that it is unsafe to travel to a specific country or region, then a policyholder can obtain a refund for a planned trip. Most policies will not reimburse travelers who are worried about their trip, so think long and hard about whether your trip to a potential hot spot is really necessary. The payment protection insurance (PPI) industry suffered a setback recently when credit card company Egg was fined £721,000 for mis-selling PPI policies to customers. The Financial Services Authority ruled that Egg was ‘talking up’ the benefits of PPI without properly explaining the risks to customers, and in some cases even adding PPI policies to customer’s accounts against their wishes. Last year, consumer group ‘Which?’ published findings that over a million credit card customers had been sold PPI without fully understanding the limitations of the product. The ABI estimates over one million UK drivers do not have any insurance. More seriously, insurer Zurich has calculated that uninsured drivers are far more likely to drive a car that is not roadworthy, and are ten times more likely to drink and drive. More than 200 people are killed each year in accidents involving uninsured drivers. Data from insurance.co.uk has revealed that one in four UK drivers lie when they apply for their insurance. The false statements given include supplying a false address, omitting penalty points on their license, fudging the distances they drive or giving a dishonest valuation of their car. According to the Halifax, a bicycle is stolen in the UK every 65 seconds. The cost to each bicycle owner works out at roughly £335. The biggest bicycle theft blackspot is London, with Reading, Bristol and Gloucester close behind. Even if you think that there’s little chance of recovering your stolen bike you should still report it to the police to make the insurance claim process smoother.